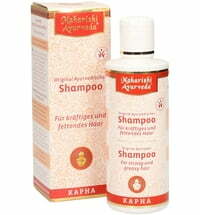 The mild shampoo is specially designed for frequent use as it cleanses the hair in a gentle way. It contains plant-based tensides, panthenol, nourishing wheat proteins and methi that promotes softness, moisture and shine. Lemon balm, sage and rosemary add freshness and a clarifying effect. The combination of fenugreek, red grape extract and juniper extract stimulate circulation and are ideal for cleansing fine and brittle hair. 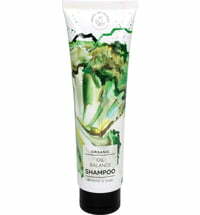 Use a small amount of shampoo on wet hair and massage the scalp to cleanse. Follow with a Rasayana Conditioner. Deposits may form at the bottom of the bottle. 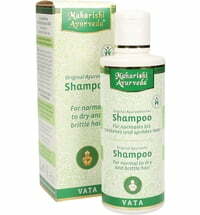 This is as a result of the Ayurvedic ingredients contained in the shampoo. Change in colour from one batch to the next is a result of the natural ingredients used.